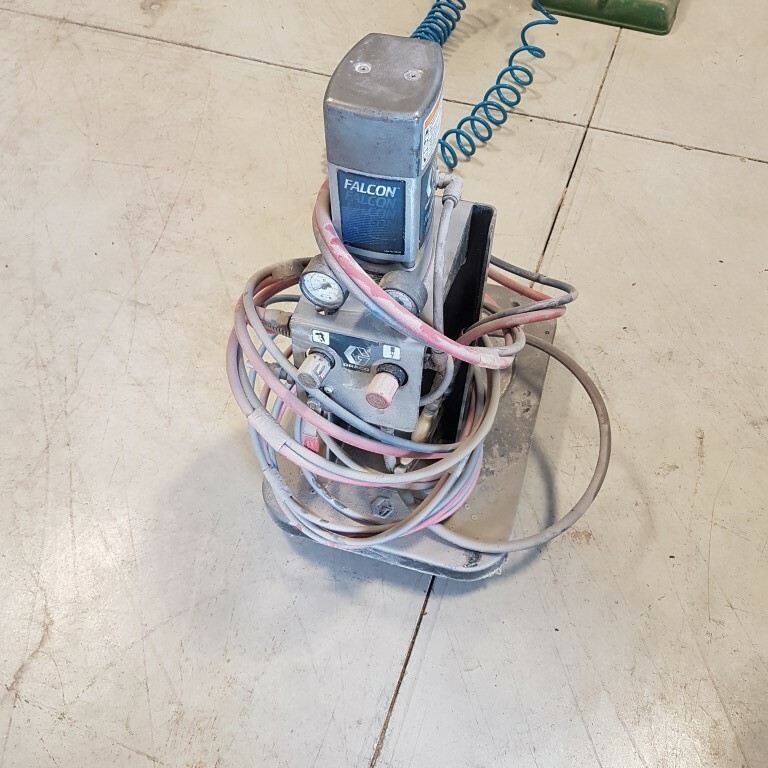 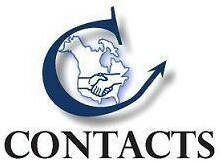 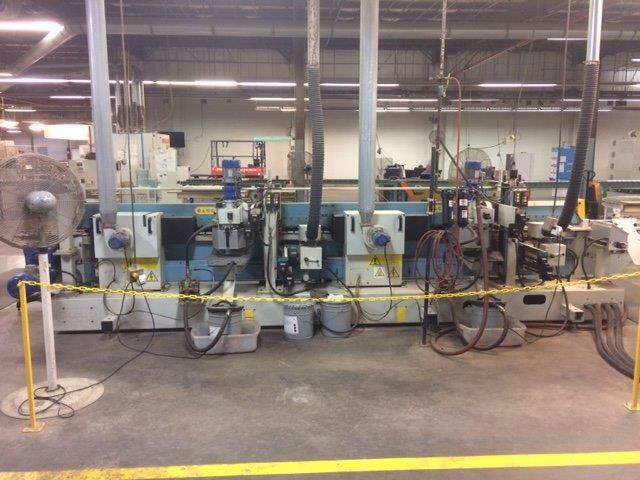 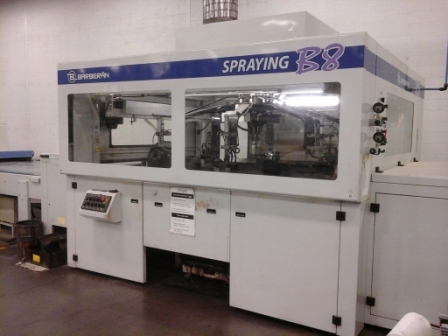 Used Finishing Equipment for Sale - Contacts Machinery, Inc.
Used finishing equipment includes all machinery used for the processes of applying and drying/curing finishing materials such as UV, water, or oil based sealers and top coats to flat panels, flooring or shaped wood components such as furniture components or mouldings. 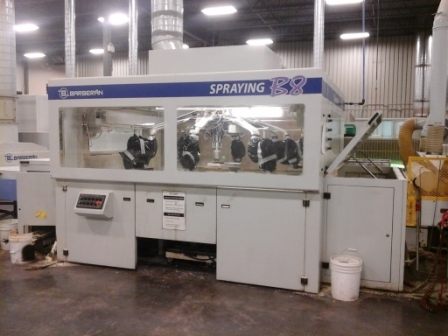 The equipment ranges from simple Spray Booths with manual Spray Guns to Roller Coaters, Curtain Coaters and computer controlled Spray Chambers. 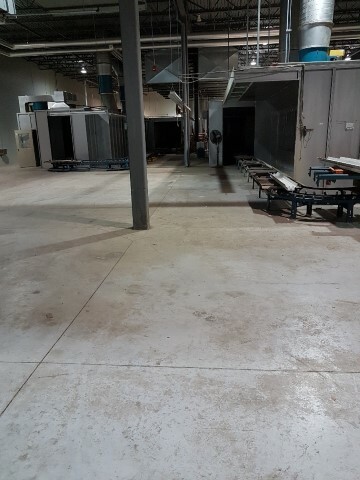 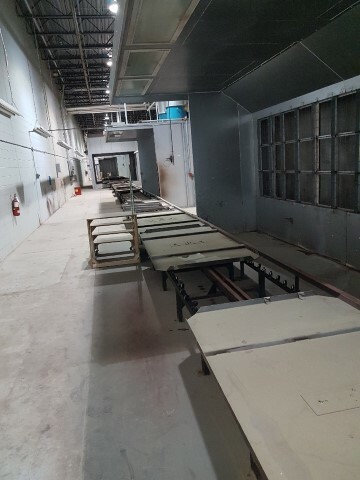 It also includes drying/curing of the products using, from Drying Rack Carts or Overhead Conveyors to Pressurized Chambers or Heated Tunnels for air drying. 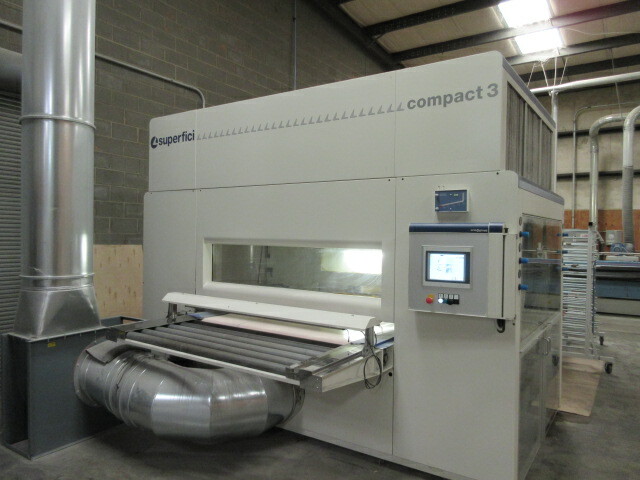 It also includes Curing Lamp Tunnels for UV based products.